Super-charge a bog-standard navy-blue two-piece suit with a double-breasted black and white dogtooth waistcoat complete with lapel. 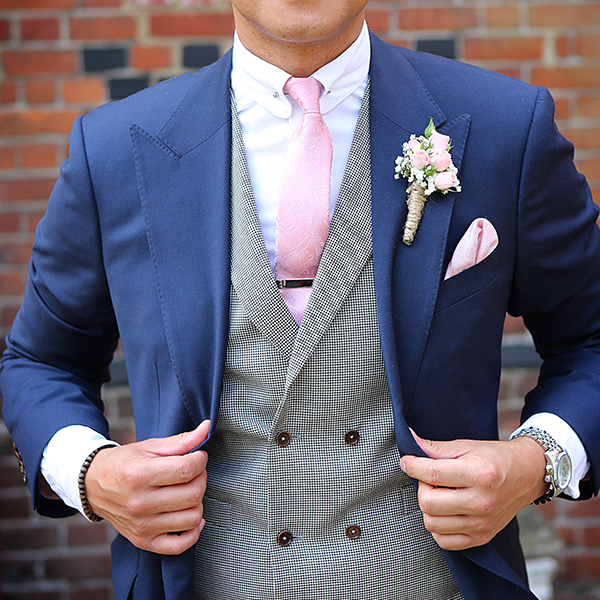 Extra wide peaked lapels on the jacket put emphasis on the shoulders for extra definition. We think dark brown buttons and dark brown shoes should finish off the look nicely. This suit is made from 100% wool, ethically-sourced from Australia. The wool is medium-weight, keeping you cool in the summer and warm in the winter. 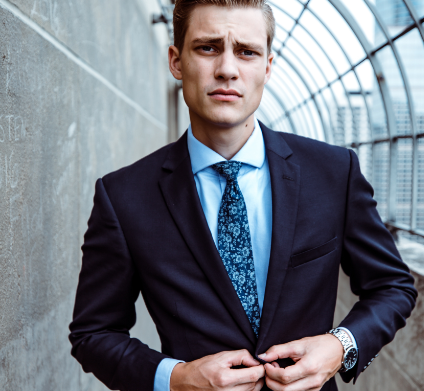 Our suits undergo the highest standard of workmanship, with double stitched lining, hand-stiched lapels, and reinforced buttons - culminating in a 30-step pressing process which leaves your suit fitting perfectly.